The crackdown on smoking on some of Thailand’s main beaches continues. In Patong Beach, Phuket, for example, there are stations every 100 metres along the beach set up especially for smokers. 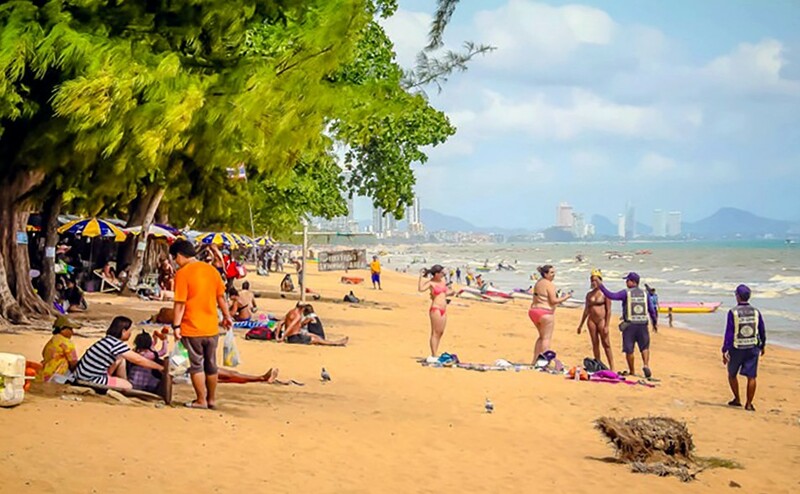 In Pattaya officials have again begun warning tourists they can only light up in designated areas on Pattaya and Dongtan beaches. Pattaya Mail reports that the municipal enforcement chief, Pol. Maj. Jeerawat Sukontasap, led officers and Environment Department staffers to Pattaya Beach on August 9 after a flurry of press reports showed the shoreline littered with cigarette butts and no enforcement in sight. After walking the beach and chatting with sun worshippers, the city hall officials pronounced the beach smoke-free and returned to their offices.